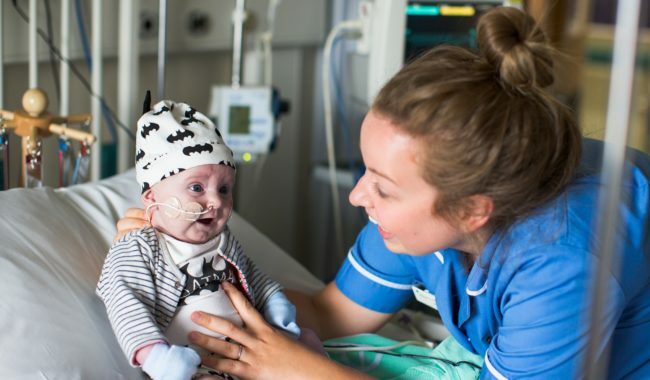 Leeds PR and social media agency, Wolfstar, has been appointed by Children’s Heart Surgery Fund (CHSF) to develop a new legacy campaign which engages with the charity’s existing and potential donors and persuades them to leave a gift in their will. Following a competitive pitch, CHSF, which supports children and adults born with congenital heart defects across Yorkshire and Lincolnshire picked Wolfstar as its preferred partner due to its insight, creativity and focus on measurable outcomes. Within Wolfstar’s remit will be producing a new, future-proof legacy strategy which resonates with established and new donors, content creation and launch support. Andy McNally, marketing and communications manager at CHSF, said: “The legacy campaign offers the charity a huge opportunity to raise funds to support the Leeds Congenital Heart Unit at Leeds General Infirmary and provide both resources and care needed for a child’s heart, mind, family and future. Marie Lees, managing director at Wolfstar added: “With our extensive charity PR experience, we have the skills, knowledge and creativity to support Andy and the CHSF’s communications strategy and put legacy at the heart of all major donor projects. Wolfstar has extensive charity experience working with Scotty’s Little Soldiers, which is dedicated to supporting bereaved children who have lost a parent whilst serving in the British Armed Forces. The charity was chosen as one of Harry and Meghan’s charities to receive donations instead of wedding gifts, during their recent nuptials.